Creative Chance | Creative Chance breaks down social barriers between those with and without disabilities in Baltimore, while creating opportunities in the arts for all! TODAY!!! Come see us at the World of Possibilities Expo in Gaithersburg! Join us at the Hilton Washington DC North/Gaithersburg at 620 Perry Pkwy. Gaithersburg, MD 20877 between 11am and 3pm to check it out! 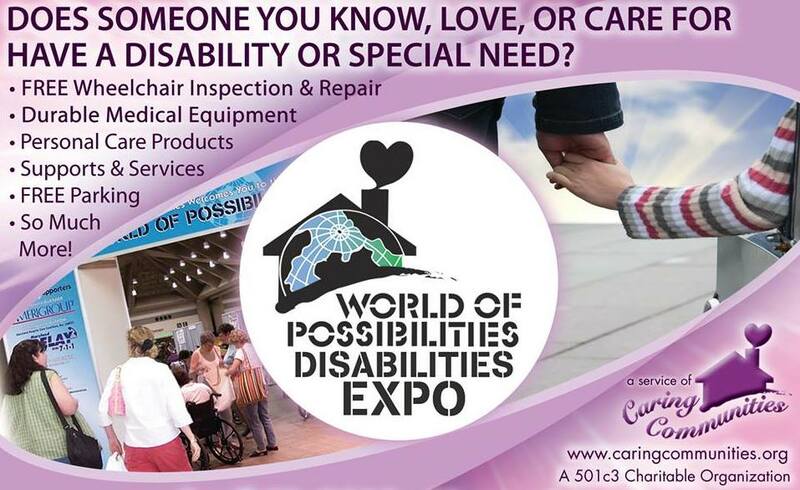 JOIN US AT THE WORLD OF POSSIBILITIES EXPO THIS SATURDAY! Check out some amazing artists and entertainers THIS SATURDAY, December 8th from 11am to 3pm at the Red Lion North Baltimore hotel, located at 2004 Greenspring Drive, Lutherville-Timonium, MD 21093. We are partnering again with Caring Communities for the World of Possibilities disAbilities Expo, and we will have an array of art showcased throughout the day. This event is FREE to all, and is the largest disability resource fair in the area. Hope to see you there! An Evening with the Arts! 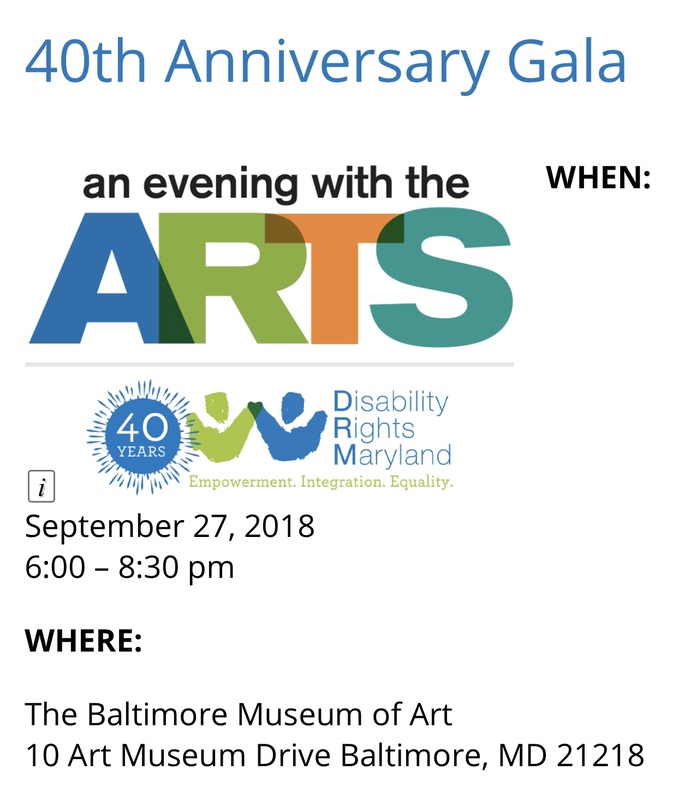 Join Creative Chance to celebrate Disability Rights Maryland’s 40th Anniversary! We will have a table showcasing art from local individuals, and we will be sharing more information about our organization and future opportunities! Come enjoy delicious food, special guests, and much more! WORLD OF POSSIBILITIES EXPO TOMORROW! 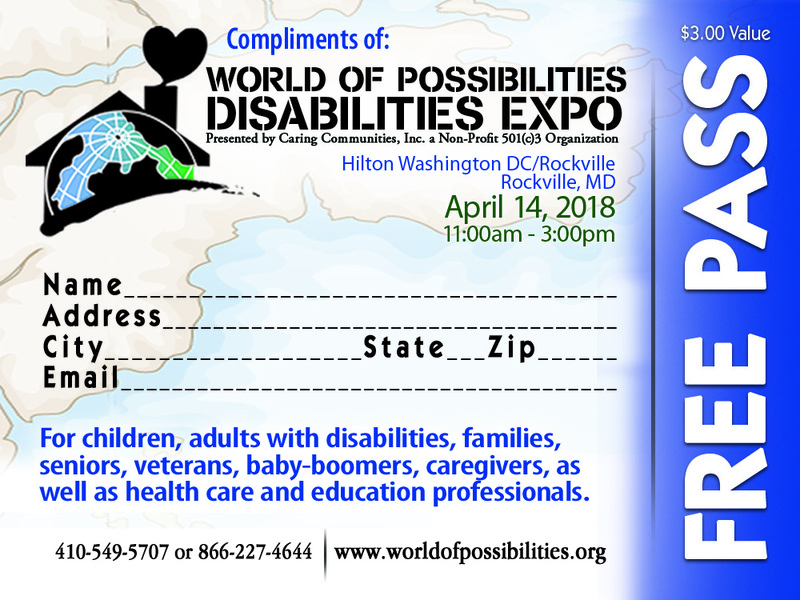 Join us at the 2018 World of Possibilities Expo! This Saturday, April 14th from 11am to 3pm, we will be at the Rockville Hilton located at 1750 Rockville Pike, Rockville, MD 20852. Enjoy a wide array of vendors with disability resources and come see us in the Artists Pavilion for a fun-filled day of art and entertainment! World of Possibilities Expo – This Saturday!!! Join us at the 2017 Baltimore World of Possibilities Expo! This Saturday, April 8th from 11am to 4pm, we will be at the Radisson North Baltimore located at 2004 Greenspring Dr. Timonium, MD 21093. 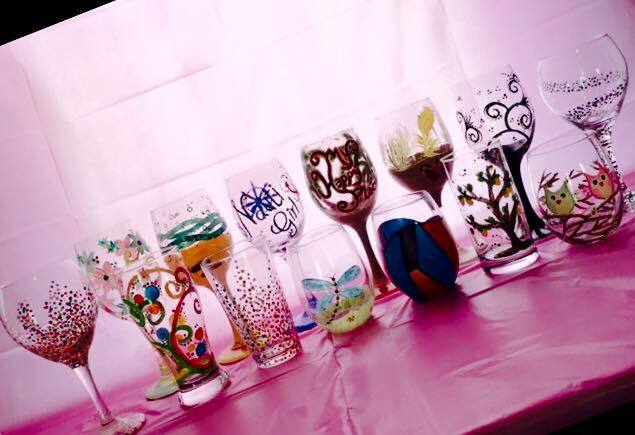 Sip & Paint with Creative Chance and Drinkable Arts! 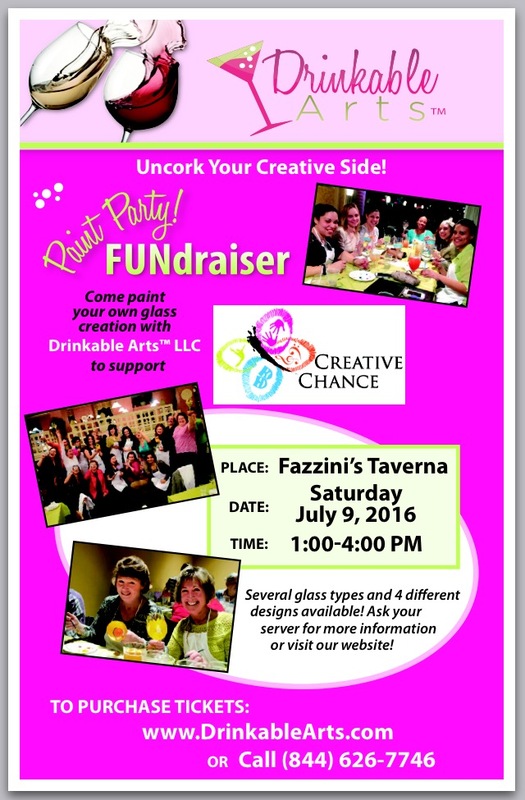 Join us Saturday, July 9th from 1-4pm for a fun event at Fazzini’s Taverna in Cockeysville, MD! This event will raise money for future programming which will bring the arts into your communities and create opportunities for people of all abilities!